Life is full of occasions. There are birthday parties, baby showers, Bar and Bat Mitzvahs, board meetings, conferences, workshops and weddings. And the truth is that while it’s usually fine to host these to-dos at home or at the office, a space with a little more pizazz, space, professional decor and preparedness might add a lot in the way of making hosting an event easier and more exciting. 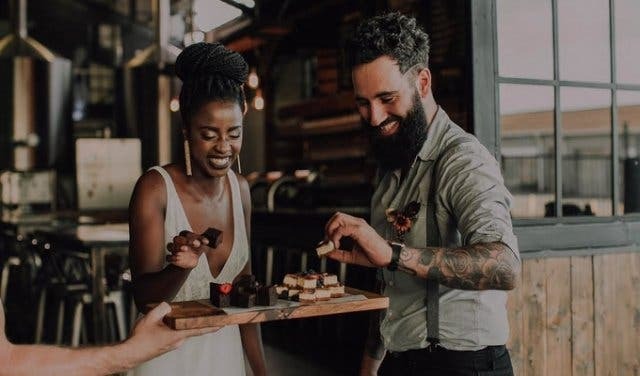 There are a plethora of function venues in Cape Town, from dedicated hospitality establishments to small restaurants that are available for private hire. To bring a few of these options to your attention, we’ve compiled an overview of small-, mid-, and large-sized events sites that would be perfect for anything from a formal business affair to an intimate family celebration. If you’re looking for a private, intimate space to host up to 20 guests where food and wine is the main focus, then the Green Room at Grub & Vine is the private dining experience you’ve been waiting for. And we do mean “experience”. Chef Matt Manning, the owner and chef patron of Grub & Vine, is well-known for creating social dining experiences, like his popular “One Ingredient” pop-up dinners and his Saturday Brunch Club, where he devised a two-, three- and five-course menu just to celebrate Saturdays. So imagine the celebration that he and his team of chefs and sommeliers will cook up for you and your guests at your private event. Read more about Grub & Vine. Best for: Private, intimate events, birthdays and special occasions where food and wine is the main focus. This Stellenbosch golf and wine estate has three sleek conference rooms. The larger of the three, the Indaba Room, has seating for up to 180 people and leads out to a patio with a braai area. Blumberg Room (up to 70 people) has a balcony overlooking the golf course, and the intimate Wine Tasting Room fits 10 people. Catering is available, and they cover all dietary requirements. Read more about Devonvale Golf and Wine Estate. Best for: From corporate functions to weddings and seminars. Vibrant colours, mixed materials, live DJ, exotic African menu and the option to sit with feet in the water while sipping a cocktail looking out over Big Bay’s mountain and Robben Island views. It’s one of our most favourite hidden gem discoveries and perhaps the best place to get the full Cape Town experience. 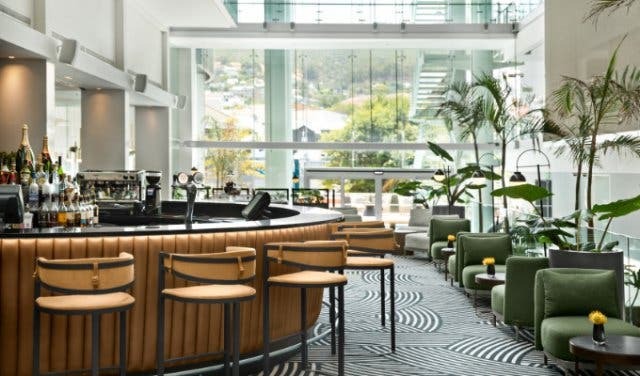 Discover a new-look moyo at Eden on The Bay. The hotel, located on the quiet Dockrail Road next to the harbour, has four state-of-the-art meeting rooms that provide over 250 square metres of flexible event space. All the meeting rooms boast floor-to-ceiling windows overlooking the harbour. Their event spaces include cutting-edge audiovisual technology and high-speed internet access. Enjoy delectable catering options from creative coffee breaks in the AC Lounge to bespoke private dinners in the AC Kitchen. The 188 guest rooms and suites can be configured to twin or king set-up, or interconnecting rooms. 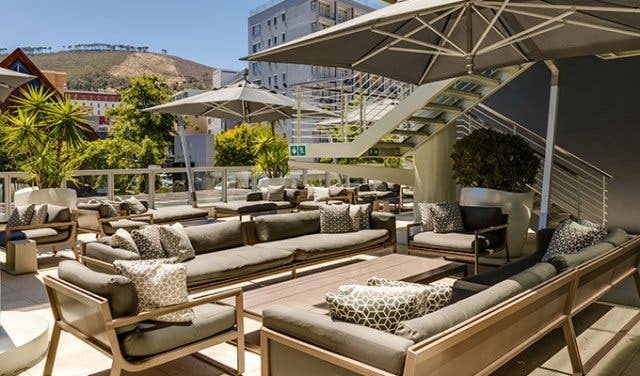 Read more about AC Hotel Cape Town Waterfront, or visit their website. Newly redone with an open atrium and loads of couches to welcome your guests. Your choice of function venue style and size: a new versatile Judges Lounge converts from formal to cocktail-style, with outdoors and balcony options, too. Plus: Live kitchens, coffee on demand and a new deck with pool and cocktail bar for sundowners, and the option of dinner with a mountain view (see the 15 on Orange restaurant with no name). 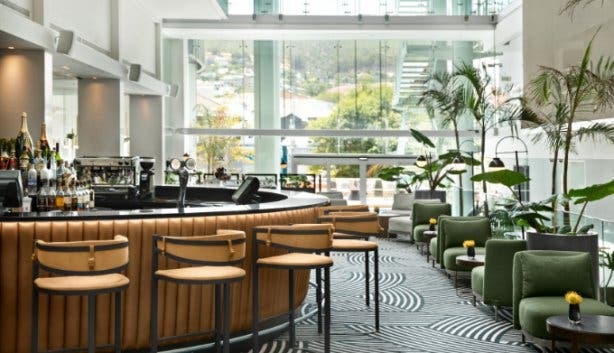 The quintessential Cape Town hotel just got a mod facelift. Check out the 15 on Orange Hotel, Autograph Collection. Best for: Modern, corporate, birthday, wedding, something leisurely but stylish. Aside from being a thrilling day visit for kids and adults alike, this underwater wonderland at the V&A Waterfront is also a great out-of-the-ordinary option for hosting events of all kinds. For large parties or functions, organisers can hire out the entire aquarium, and for a slightly smaller do, there’s the option to rent one of four unique spaces, three of which look out onto kelp forests; ragged-tooth sharks, stingrays and turtles; the Tranquility tank with large fish swimming through a slow-swaying kelp forest; or small exhibits of spider crabs, jellyfish, anemones and more. Venues can be adjusted to suit specific needs, and the environment will ensure that guests are completely immersed in this marine nirvana. Read more about hosting events and functions at the Two Oceans Aquarium. Best for: all types of functions: cocktail parties, private dinners, conferences, board meetings, year-end parties, product launches and more. Capacity: it depends on the room you choose and the function type. 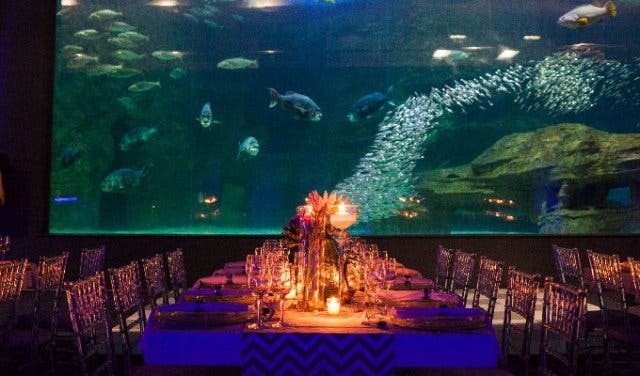 The number of guests you can host here can be anywhere from 10 for a small party, to 800 if you decide to hire the entire aquarium for an extra-big cocktail party! Includes: catering, staff, basic decor, cutlery, crockery, tables, chairs, audio-visual equipment (in some venues) and access to the aquarium (only for day functions). An explosion of green on Franschhoek’s Wemmershoek Road. Every kind of wedding “environment” you can imagine. Massive grounds for outdoor events, a versatile indoor banquet hall (450 people) or an intimate cellar venue (90 people). And all just 12 minutes outside of Paarl and Franschhoek. 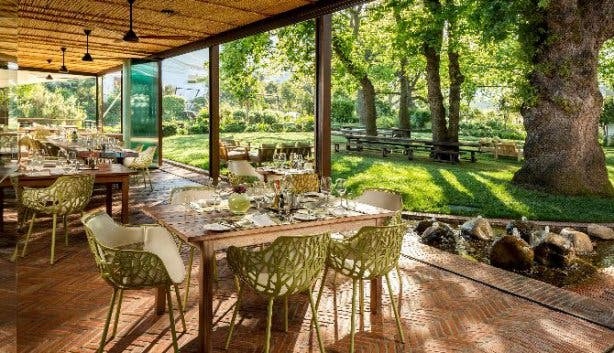 Discover La Paris Estate, with bistro, deli and on-site bakery for your next function in Franschhoek. Inner City | Ideas Cartel's newly launched Greenpoint location boasts beautiful spaces, co-working, gourmet breakfast, lunch, Friday braais and a gym. There are some exquisite meeting room spaces for something formal. And then there's this beautiful courtyard space for functions and events. Discover more at their website. You can also read about this space on our feature on Inner City | Ideas Cartel. 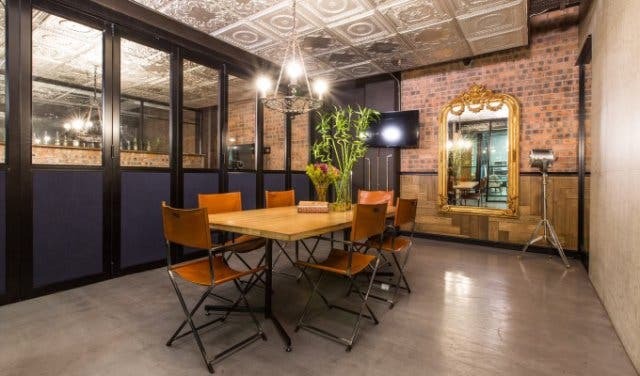 Inner City | Ideas Cartel offers some of the only spaces in Cape Town where you can choose between booking a meeting room (with boardroom table seating 6–8 or just the space filled with chairs to seat 20) at their luxe co-working spaces. Or, book adjacent rooms and have this space opened to seat 40. 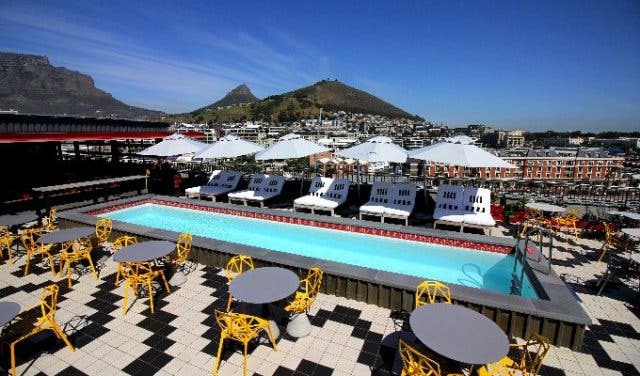 Better yet, book your function at the unbelievable Cartel Rooftop in De Waterkant. It comes complete with bar, kitchen and DJ deck for hosting weddings, product launches, shoots, corporate events etc. There's also an additional rooftop on the 10th and 11th floors of Cartel House on Loop Street that offers incredible city and mountain views – popular for film and photo shoots. Discover more at their website. 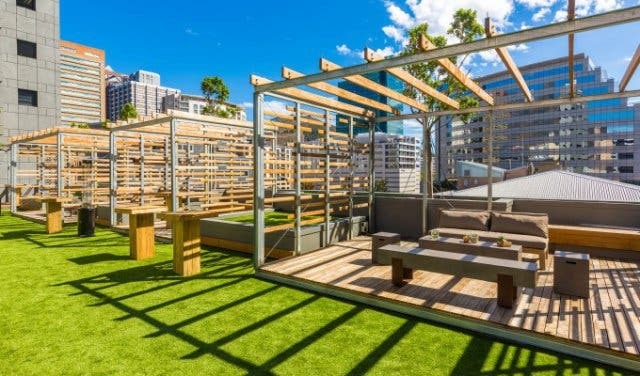 Best for: A function seeking photo-worthy views and the cool atmosphere and aesthetic of a city centre rooftop. Includes: This is a one-stop events shop: They can help you plan your event from start to finish. 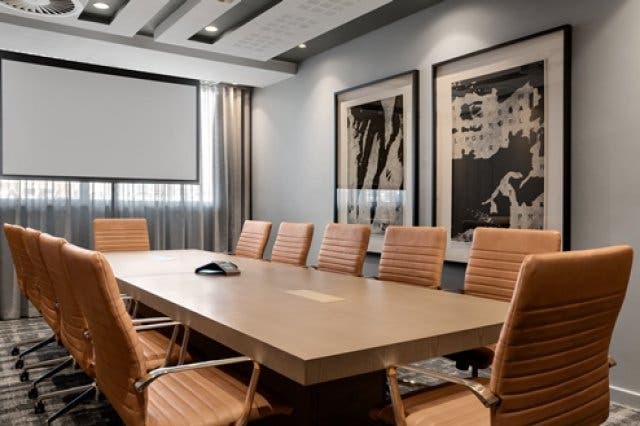 One of the only spaces in Cape Town that gives you the option of booking either a 6–8 seater boardroom, complete with flat-screen TV and both Mac and PC connectability, or upscaling your boardroom booking to facilitate up to 20 or 40 people. Discover more at their website. You can also read about this space on our feature on Cartel House. If you are looking for an exclusive and intimate venue for your next event, why not try out Pierneef à La Motte. The restaurant, situated on the La Motte Wine Estate, is not open to the public for dinner so it is available for exclusive evening events. Enjoy unique and interesting South African heritage cuisine paired with renowned and award-winning La Motte wines. House of H is a relaxed, quirky restaurant and bar where a little debauchery goes a long way. 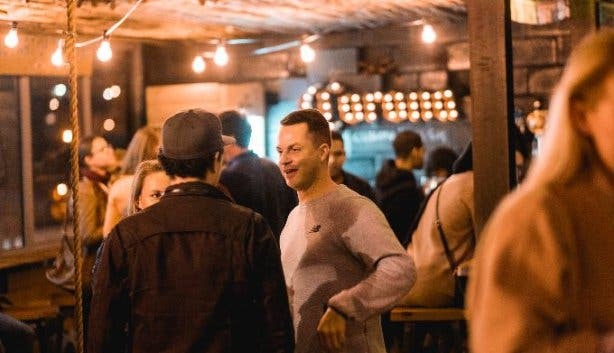 Some big brands and companies including Levis and Woolworths have used House of H as a venue and it’s great for social activations. If you have special requirements or budgets for your group or function, the team at House of H is happy to sit down and customise a set menu. They have set menu options ranging from R200 per head. Best for: Birthdays, big group bookings, social activations, end-of-year functions. 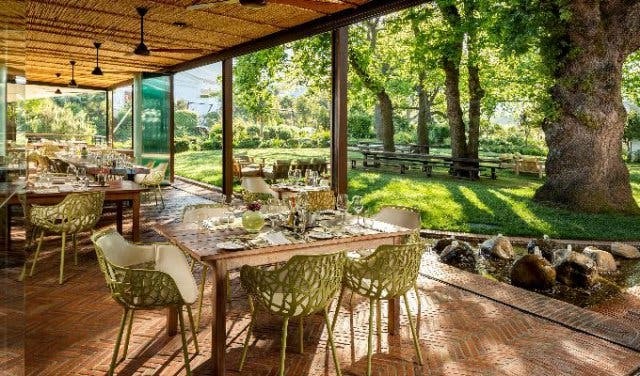 Get all the details about House of H.
A quaint chapel, big braai boma and swimming pool with loads of rustic-luxury group accommodation on a working dairy farm. A little way outside of the city, this one’s ideal even for stayovers: family reunion, company retreat or group bookings. With staff on hand, a one-of-a-kind SA Grand Prix trophy room tour and sunset safari picnics. 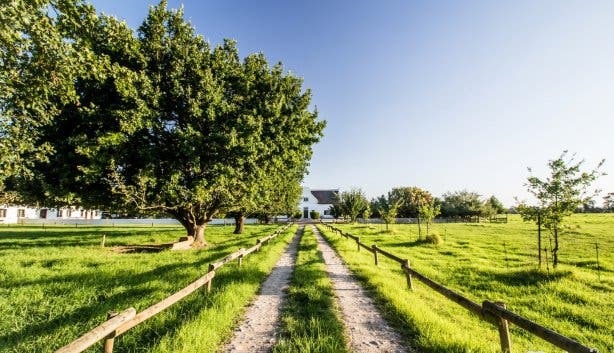 Experience Rotterdam Guest Farm in Swellendam. Best for: Boutique weddings, reunions, big birthdays and group bookings. When looking for somewhere to host a function that offers a beautiful view of the city, look no further than the Radisson Blu Hotel & Residence. This hotel has a variety of rooms available for functions. There are five conference rooms and two executive boardrooms to hire as well as the gorgeous Stratus Room restaurant and Ghibli Bar. There are also amazing wedding packages. Did you know Jack Black’s Brewing Co brewery and taproom was featured internationally as a trending urban wedding venue? And it doesn’t stop there. 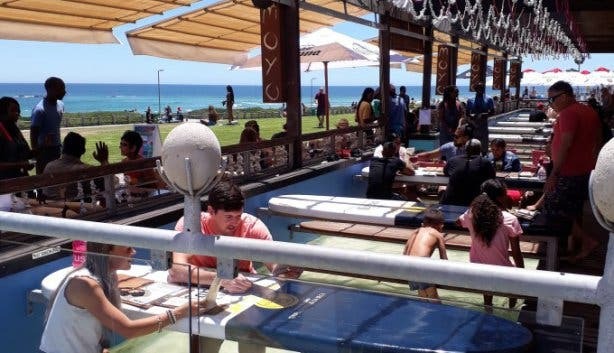 They offer some of the best SA craft beer on tap, must-try burgers, all-inclusive function venue hire and live music every week. Check out all the cool discoveries we made at Jack Black’s Brewing Co function venue. Best for: Birthdays, weddings, office parties, product launches or any function that requires a unique and cool venue where you want your guests to unwind and enjoy themselves. Haskell Vineyards is the idyllic setting for an intimate function. The picnic area is ideal for an informal function like a family picnic or a baby shower, while the Longtable Restaurant can seat guests and a dance floor can be set up outside. It is an excellent location for beautiful views and to dance the night away under the stars. 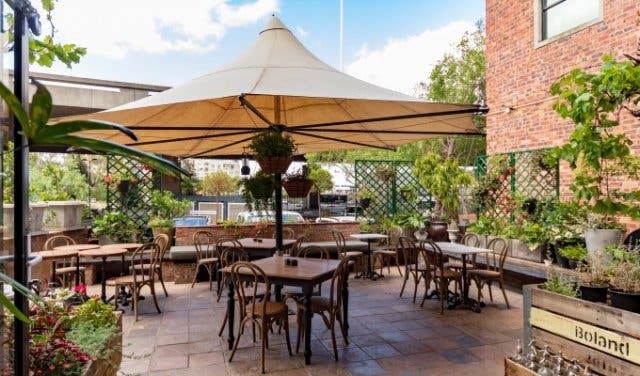 Read about Haskells 2019 Platter's award and find out about their 2019 sundowners and picnics. 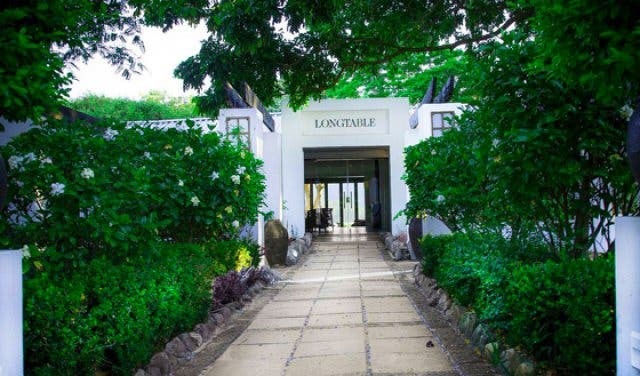 Capacity: The Longtable Restaurant is also the perfect venue for a small wedding, as it seats 40 people, and 70 maximum if you incorporate the outside area as well. 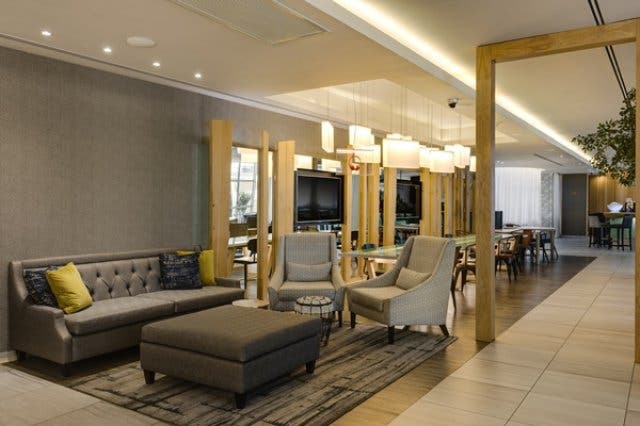 If you’re looking for cutting-edge design, a central city location with mountain views from the outside deck and all the added extras of free parking, free Wi-Fi and private executive “apartment style” suites, then Protea Hotel Fire & Ice by Marriott is right up your Church Street. The hotel’s single road access and private access through the underground parking, make it the top choice for celebrities, VIPs and government officials in need of secure access. The hotel also throws in a lot of extras – like free set up and pack up days, an online database of event photos and ideas suited to each function room, and a mobile app to let your guests check in from their phone. Plus, you can stay over in the lap of luxury too. Best for: Board meetings, conferences, expos, car launches, weddings and reception-style events. Capacity: Choose from five event rooms, from just 22 people in the executive boardroom to 200 in the spacious exhibition hall that can also park a car or boat inside, behind the sliding doors, making it perfect for a new model launch. Includes: Packages are tailored to your needs and include catering, event coordination, business and support services. With its own in-house creative events team, Radisson RED Cape Town specialise in unique functions. 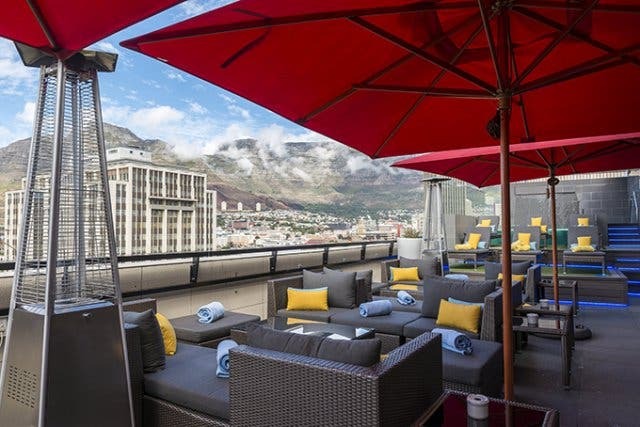 The obvious choice for an unforgettable event is the RED rooftop, with its pool, grill and bar facilities, and a 360-degree view over the city and its cool neighbour, the Zeitz MOCAA. The sunsets alone are worth toasting with a speciality cocktail or Bitching Baxter Blonde craft beer, named after the hotel’s dog and “CEO”, Baxter. Or, if you prefer something indoors or need to add in some conference facilities, the hotel has four event spaces or “games studios”, each one as flexible as the next. Take the Ping + Pong room, for example. This versatile 116m space can throw on a slinky cocktail dress and entertain 120 guests or put on a smart suit to host 84 delegates in a boardroom setting, complete with a ceiling projector, retractable screen and creative wipe-off wall. Creativity is the name of their game so think big, go bold and be sure to add a touch of RED. Best for: Big rooftop parties, creative events and launches. Capacity: From 18 people to 120 people in the events rooms. In terms of uniqueness when shopping around for a function venue, Just Like Papa ranks highly. The Harrington Street retail store sports an incredible interior which has been designed to resemble the rib cage of a whale, so stepping inside is quite literally like entering the "belly of the beast". Best for: Photo and film shoots in this beautiful space would work well, as well as functions. Bear in mind that Just Like Papa is available for "dry hire" (venue only) – so you'll have to arrange your own catering, drinks and general events management. Ask about the rooftop area, too. Capacity: The venue can accommodate up to 120 seated people. Mahala Mondays at Sgt Pepper gives you a free venue for your event for 150 people. The live entertainment is also on the house, you just pay for your drinks and food. Mondays only at Sgt Pepper on Long Street. Best for: Birthdays and parties. Nice to know: Free venue and live entertainment on Mondays. 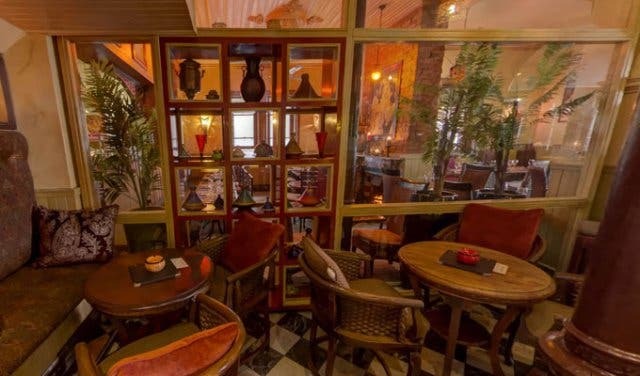 The Attic is a cosy, private nook up the stairs of popular Beluga restaurant in De Waterkant. It accommodates up to 16 people and is available for lunch or dinner. The venue hire works like a tab. To book: You pay R5,500, which is transferred to a tab, which means you can order from the food menu and the bar. Nice to know: The restaurant can be booked for functions too. The popular spot recently launched their very own whisky lounge. 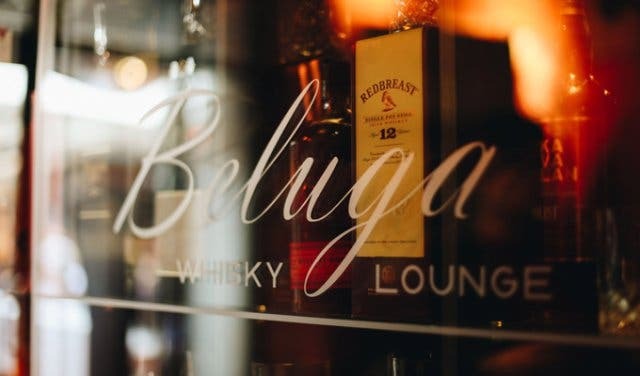 You’ll find a myriad of whiskies from unique locations, with diverse flavour profiles and different year aged casks at the hot new Beluga Whisky Lounge. Plus, you can become a member of the lounge, which means endless whisky-related events, specials, tastings and so much more. Get in touch to learn more. 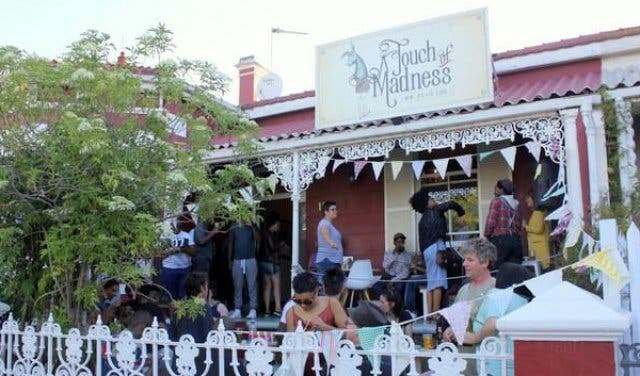 A Touch of Madness in Obs is an old Victorian house turned into a restaurant and bar. The space—with four indoor areas and two outdoor areas, makes for the perfect house party, without having to do any clean-up the next day. Best for: Anything from a birthday dinner, to a community meeting or full-on house party could be hosted in the space, depending on the rooms you choose. Capacity: The whole venue can accommodate over 150 people and each room has a different capacity within that. Includes: Depending on which package you go for, the venue comes with a catering menu, and an option to stay open until 2am for an additional fee. There is no corkage. 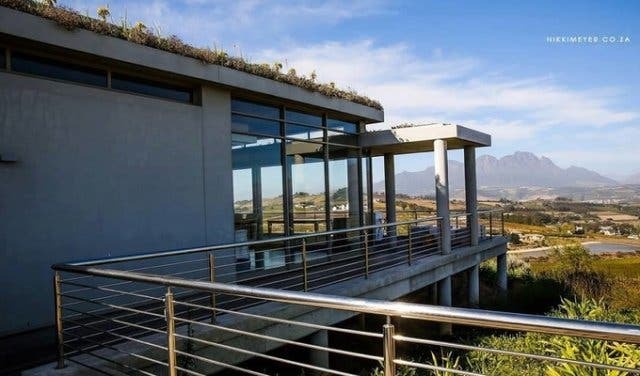 Under Oaks is a picturesque wine estate with stunning views of the Paarl and Drakenstein mountains, with a rich history of producing award-winning wine. 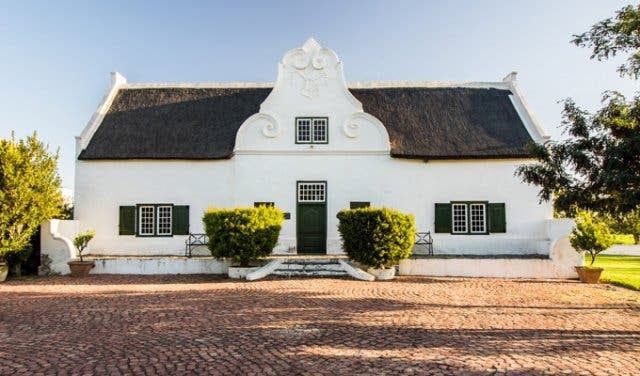 Owned by Hans and Theresa Britz, the estate prides itself on its commitment to make sure visitors enjoy an experience that’s as near to perfect as is possible. The estate’s meeting room is surrounded by a serene garden in the shade of ancient trees that makes for a very relaxed setting. They also have four-star accommodation, voted “The Best Private Luxury Accommodation in the Western Cape” by the Luxury Travel Guide 2017. Under Oaks offers excellent full-day and half-day conference packages with various add-ons, which allow you to customise your meeting according to your requirements. Please visit their website for more information on the various options available. Capacity: Max 50 guests, depending on your requirements. This picturesque venue offers the best of both worlds: A man-made beach featuring two pools (one of which is an infinity pool right by the shore) and a sophisticated eatery. What’s more, an outdoor DJ stage provide the perfect setting to host a fun summer pool party. Inside, oak wood floors and dining tables offer a classier alternative. 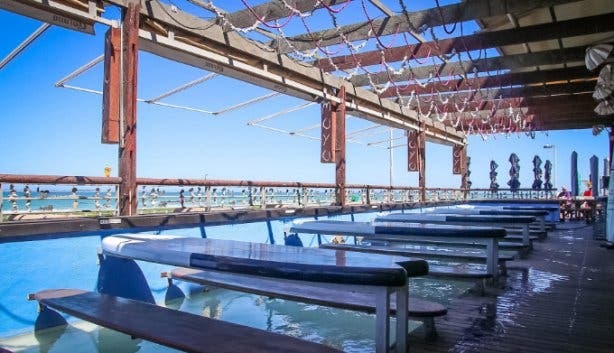 Shimmy Beach staff are always on hand and happy to help you create memorable moments, the seaside eatery has an events manager dedicated to helping you cater-make an event you and your guests will enjoy. Best for: Corporate functions, company/brand launches, weddings and bachelor(ette) parties. Year-end office parties get quite festive at the beach club too. Capacity: It depends on the section you choose. 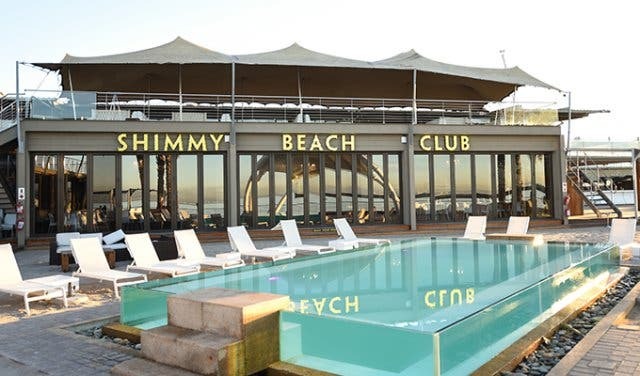 The number of guests you can host here can be anywhere from 20 for an intimate get-together in the whiskey room, to 1500 people on the private beach – 2200 max if you decide to book out the whole of Shimmy Beach Club. Includes: Catering, staff, basic decor, cutlery, crockery, tables, chairs. True Italic on lower Bree St. 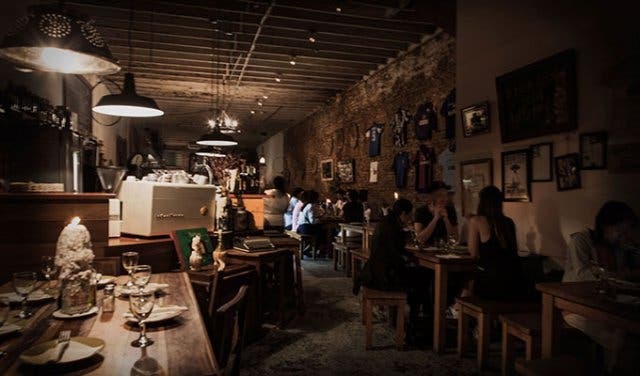 Though primarily an authentic Italian restaurant that specialises in handmade pasta fresca’s, traditional mains and antipasto platters piled high with imported cured meats and cheeses, True Italic can also easily morph into a brilliant venue space. There are two options available. The first is to hire the main eatery and have exclusive use of the cosy 200-year-old building; for those keen on dancing, the True Italic team can clear out all of the tables, chairs and restaurant décor. There’s also a large projection screen on hand and seating for from 10 to 150 guests. Those who are looking for a smaller and more intimate space can choose the Canteen Tavernetta dei Poeti, which can host a maximum number of 40 patrons. This elegant downstairs area has its own sound system and bar and is decorated in such a way so as to transport your mind to Italy. Both choices include the option to have the chef sit down with you to conjure up a ‘made with love’ menu to suit any budget. Contact the restaurant to enquire about hiring costs. Best for: intimate birthday parties, affordable anniversary dinners and wild dance parties. Includes: tables, chairs, cutlery, crockery, glassware, service staff and clean-up. Food can be arranged in-house. 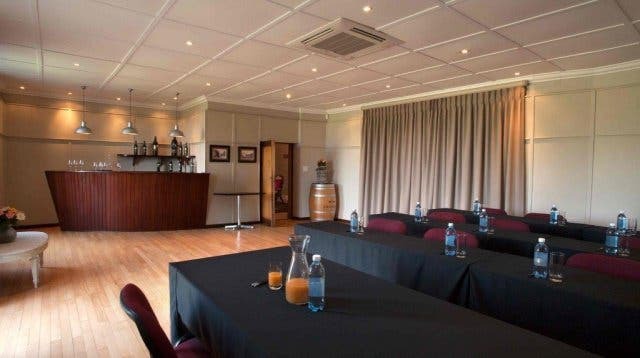 Based smack in the heart of Cape Town’s CBD and just a stone’s throw away from several business headquarters, the Park Inn hotel is a particularly convenient location for corporate meetings. The slick, sophisticated property has a state-of-the-art 125sqm conference room that can be split into two if need be as well as a smaller 30m.sq boardroom for exclusive to-dos. Function planners can also arrange to make use of the 11th-floor sunroof terrace. Harald's Rooftop Bar and Terrace is an ideal spot for pre-event mixers as well as or post-workshop/conference cocktails. Best for: corporate functions, like small board meetings, brainstorming sessions and mid-sized seminars or workshops. The rooftop bar works for all social occasions, whether formal, semi-formal or casual. Includes: depends on the package chosen, but options are food, drinks, serving staff, a data projector, a screen, high-tech audiovisual equipment and free high-speed Wi-fi. Most will agree that life is better by the seaside. With the waves crashing against the shore, the salty sea breeze blowing through your hair and a view of the expansive ocean, you will be lost for words. Let the Atlantic Ocean be the backdrop for your birthday-, engagement-, farewell- or cocktail party. Five-star hotel Radisson Blu’s flagship restaurant, Tobago’s, provides a picturesque vista of the surrounds from its terrace. Don’t miss the view from inside either, the elegant eatery has grand floor-to-ceiling windows so you can make the most of the coastal location even when the weather dips. Best for: Brunch on the weekend, a power lunch, sneaky sundowners, and intimate dinners with a loved one. 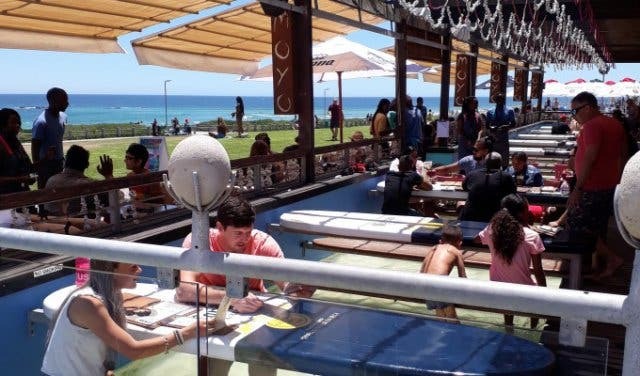 Because this eatery is in such a prime location you’ll want to spend every possible moment taking advantage of the view and the impressive menu. Capacity: This will all depend on whether you want to utilise the terrace exclusively, the indoor dining area, or if you want your guests to amble freely throughout the restaurant. Includes: The restaurant has an extensive food and drinks menu. If you want to plan a special event, Tobago’s staff are happy to work with you on a personalised menu of canapes or a sit-down meal. 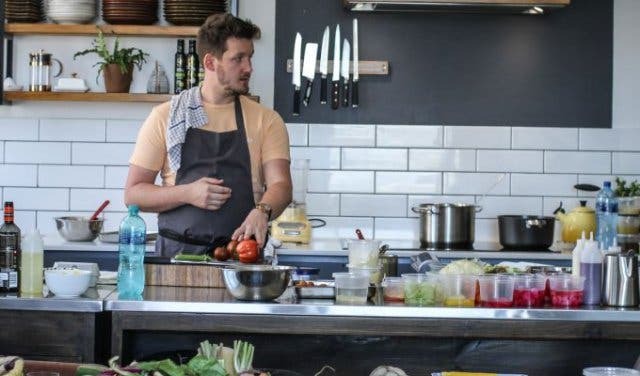 There are very few places in Cape Town that can successfully entertain the young and old, professionals and nonprofessionals. HintHunt is a guaranteed fun time as the games are designed to test your wit, intellect and imagination. The live action ender’s game has teams of three to six people, placed in a room where they must solve a set of riddles, codes and conundrums to ensure their freedom before their allocated 60 minutes run out. 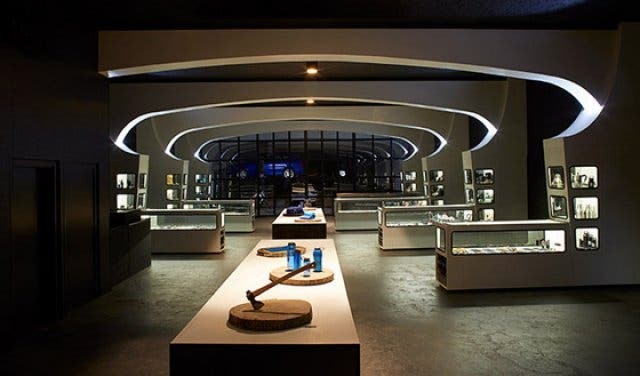 With six rooms that can hold a team of up to six at a time; groups can choose to play in the Submarine Rooms, solve CSI type mysteries in John Monro’s Office or get to the bottom of a robbery in one of the Zen Room. The interactive space also houses a fully functional boardroom space and a fully licensed bar. With dedicated staff willing to cater make an event that you will enjoy, whether you’re looking for an action-packed afternoon or a trendy spot to host an event; this place will work for you. 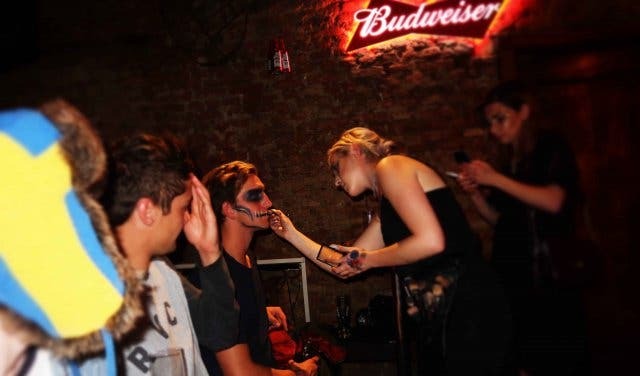 Best for: team building outings, birthday parties, bachelor and bachelorette parties, as well as informal/formal business events. Capacity: gaming rooms can cater for 24 players. Boardroom and bar area has a 100 person capacity. Includes: different packages depending on the nature and size of the event. Be sure to call and organise your personalised event with the pleasant and helpful HintHunt staff. 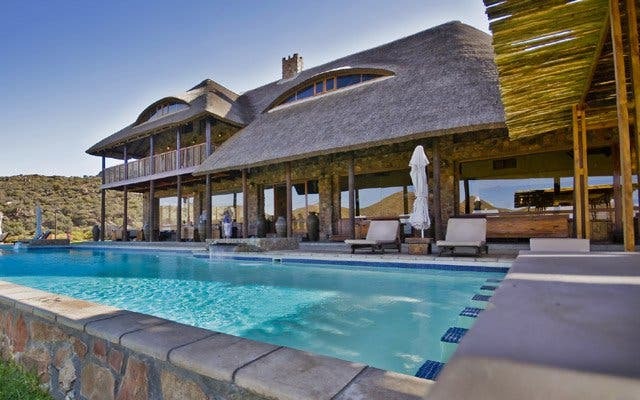 Just two hours out of the city centre of Cape Town, Aquila Game Reserve in the Klein Karoo offers a marvellous experience of corporate regrouping and revitalisation. The lovely labyrinth outside which fulfils the role of a main conference centre, will get the creative juices flowing within minutes of arrival. As part of the corporate functions package, Aquila offers a four-star overnight conference package as well as a Back to Basics teambuilding programme which is facilitated by an outsourced company, in collaboration with the game rangers of Aquila. Interactive Drumming is also on offer by Bevil Spence from Drumba. Aquila also serves as the ideal gala dinner venue, at the Boma Bush Venue where delegates are afforded the opportunity to dine under the stars. Best for: Corporate functions and team building. Capacity: The conference centre can accommodate up to 90 guests in total. Includes: Complimentary arrival drinks and tea, coffee and fruit-infused mineral water throughout the session, plus a selection of snacks, buffet breakfast, lunch and dinner, access to the conference centre with a high-resolution projector, screen and sound, pens, notepads as well as complimentary Wi-fi access, a Big Five safari game drive, which will last approximately two to three hours, complimentary star gazing safari and a 10% discount on any spa treatments! Taking the location into consideration, it is no surprise that The African Pride 15 on Orange Hotel, Autograph Collection also flaunts the fact that it is a prime location for ‘bleisure’ (business meets leisure) guests, catering particularly to business events. 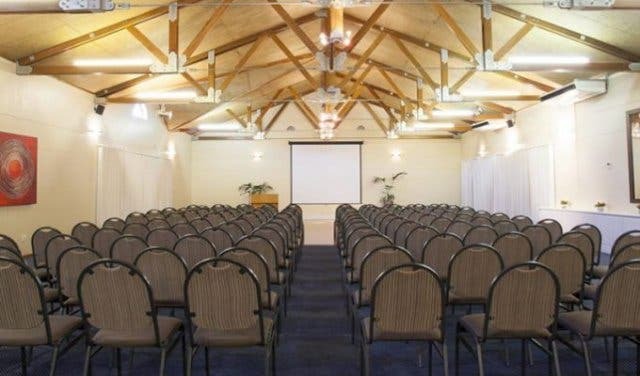 Its conference centre boasts five state-of-the-art boardrooms, four large meeting rooms, and a gigantic conference room which can seat up to 200 persons. Natural light filters into each of the air-conditioned rooms. Each option can be tailored to suit specific business needs, again proving the point that at the helm of African Pride 15 on Orange, Autograph Collection's impeccable offering is a five-star service experience. Best for: all things business. Includes: 38 display screens, Audio-visual equipment, wireless internet connectivity and even secretarial services. 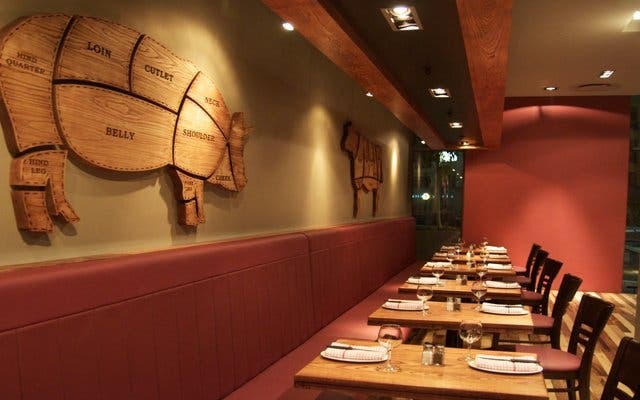 Knife, the Louisiana-style steakhouse loved for the ribs, is set up for functions of all kinds – from intimate family celebrations to large corporate events. Plus there’s a semi-private side room that can host up to 45 people. 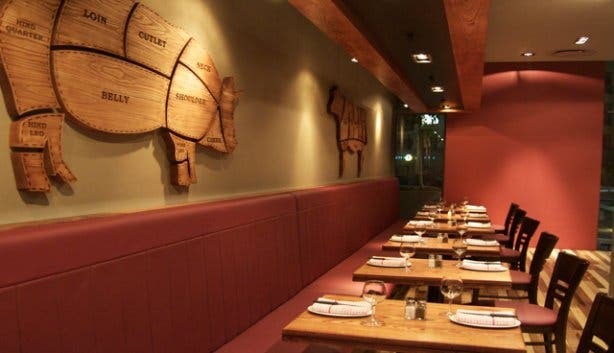 Book a spot for any and every occasion in the spacious Knife Restaurant. Best for: Everything, really. Plus they have a birthday special where you get a free meal on your birthday month, if you bring a party of five or more (minimum six, including yourself). Capacity: two to 200 guests seated. More for a casual stand-around function. Includes: You are allowed to arrange your own decor and DJ. Classy and trendy at the same time, Rick’s is an ideal spot for a get-together. The Casablanca movie-themed spot is a deceptively large space (it is housed in a 100-year-old Victorian building) has many different nooks and three flame-roaring fireplaces interspersed between diners. Not to mention, guests can look forward to a hearty Moroccan- inspired menu and an extensive beverage list (the hotspot has over 35 varieties of tequila! ), which means a good ol’ time is most certainly guaranteed. 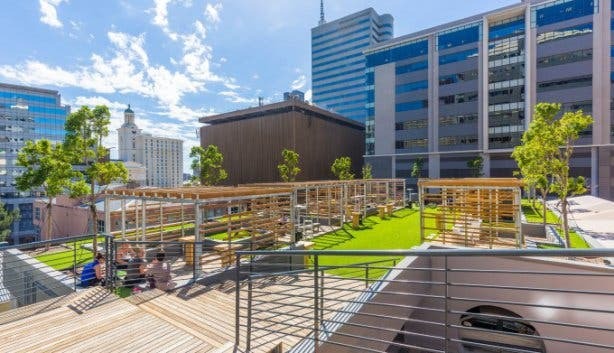 What’s more, should the rooftop space be hired, a private cocktail bar will be supplied. Best for: intimate birthday parties, anniversary celebrations and small year-end office functions. Capacity: up to 60 guests for cocktail soirees, and a maximum of 30 people for dinner parties. Includes: cutlery, crockery, decor, catering, service staff and clean-up. Be sure to give the restaurant a call to discuss specifics and to check out their function requirements list which can be found on their site. Supposedly one of the most beautiful gardens in Africa, Kirstenbosch is internationally acclaimed as one of the planet’s great botanic gardens. It’s huge open lawns somehow manage to stay lush and green all year round and in spite of droughts Cape Town experiences increasingly often and rest right below the overlooking Table Mountain. 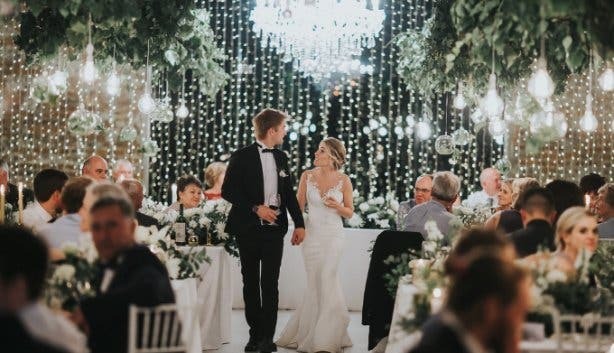 Luckily for us, Kirstenbosch has various venues dotted within its sublime grounds for people to gather for special occasions. 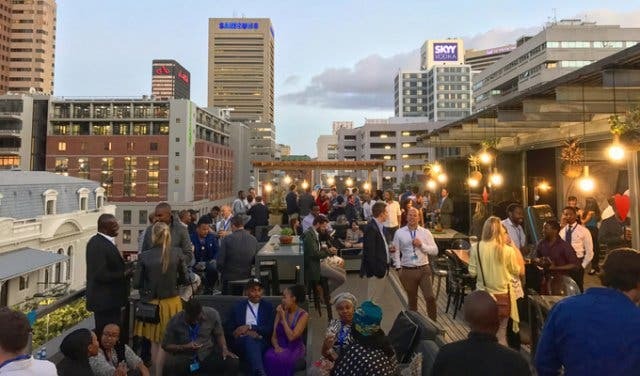 There is the large concert area, Old Mutual’s Conference and Exhibition Centre, the Moyo restaurant, the Marquee Lawn, and the Old Manor Guesthouse. Weddings can also be held in the Garden, and the Manor is a romantic and popular spot to hold wedding receptions and has a number of guest suites and cottages. All venues can be organised through Kirstenbosch’s contact details below; however, Moyo restaurant as a separate entity within Kirstenbosch needs to be contacted directly should you want to book them. You can call Moyo on +27 (0)21 762 9585. Best for: just about any event you can summon up with your imagination - the venues are versatile, and there are certainly a lot to choose from. Note that the Marquee Lawn does not allow amplified music into the venue if you’re looking to book a party or concert. Capacity: needless to say, the outside areas have a flexible possible capacity, whilst the indoor venues’ capacities range from 75 guests at the Manor House to between 600 and 1000 guests in the Marquee Lawn. Includes: the inside venues are all wheelchair-friendly, there are catering options for the Manor and self-catering in the Marquee Lawn and Old Mutual Conference Centre. 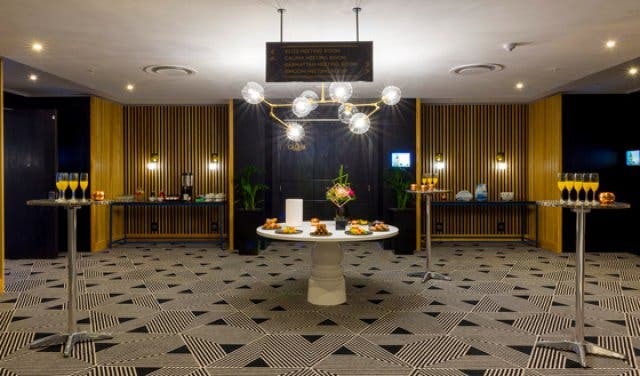 The Old Mutual Centre is fitted with kitchen facilities, audio-visual equipment and air conditioning along with the Manor, which additionally has Wi-fi. Ahoy there, events planners! 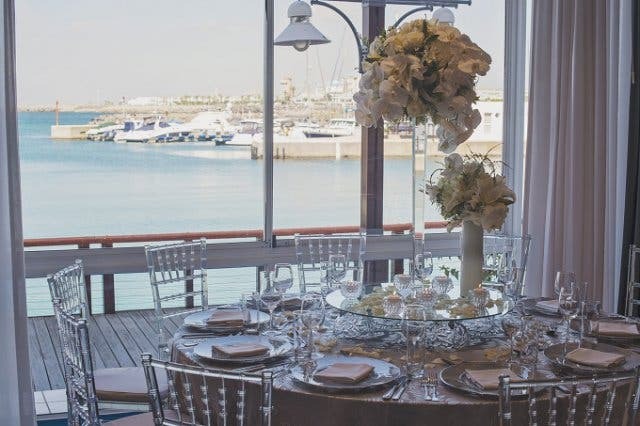 Whether you’ve got sea legs or the thought of standing on a swaying deck on the deep blue makes you squeamish, the Royal Cape Yacht Club is sure to impress you with its selection of venues. Situated by the Foreshore docks, the Club was formed to promote yachting in Table Bay and to provide facilities to its members, who are unsurprisingly yachtsmen (and women) and sailing enthusiasts. There’s an air of a proud sailing heritage, with trophies won by its members over the years displayed in cabinets in its Main Hall, one of the venues. 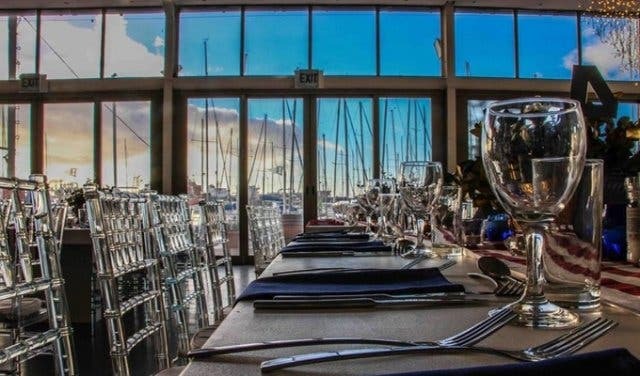 Other venues that can be chosen are the Visitors Lounge & Chartroom, private dining area The Galley, and the largest of the venues, the Regatta Centre. Best for: 21st parties, weddings, auctions, exhibitions, dinner parties, conferences… the Club seems to cater to all occasions. Capacity: depending on the room you let out, anywhere from two people to 250 can be hosted. Includes: glassware, cutlery & crockery, chairs with covers, tables and basic white linen. All catering is done by the Royal Cape Yacht Club - outsourced caterers may be used with permission from the Club, except for bar services. The Main Hall has air condition and a projection screen so is particularly suitable for conferences, weddings and even 21sts. 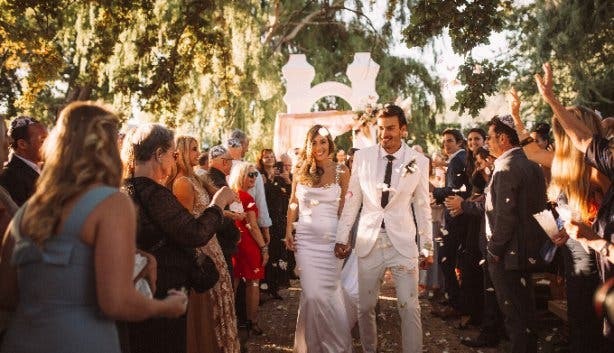 Here, in the beautiful open spaces of the Cape Winelands, guests can live out their fairytale wedding fantasies or, if it’s a conference, be at work whilst in a flawless natural landscape setting, away from the humdrum office. 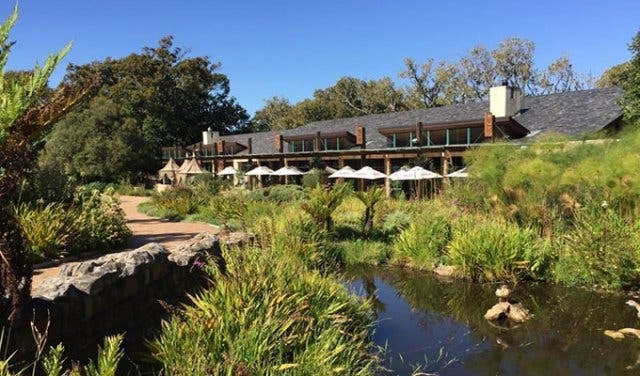 This is extremely well-like as a wedding venue due to its stunning setup and views, and excellent food, with a menu that is healthy and organic. There are also many services included when you book the venue, which is also wheelchair-friendly. Capacity: 160 people with a dancefloor in the venue, and 200 without. Includes: catering, bar, a ‘Plan B’ for rainy days, a basic setup (tables, chairs, crockery and cutlery - note that linen is not included, however), porters, venue manager throughout the event, use of the lawn and deck, basic setup for wedding receptions, furniture for outside and inside use, parking marshals. Up to 240 people for events with incredible Foreshore views. Full event services are done in-house: bar, decor, catering, lighting, photography, marquees, film – all organised through gorgeous rooftop venue operator Shared office spaces. Ideal for: Launches, dinner banquets, birthdays, networking and corporate, media and photo- and film shoots. ENTERTAINMENT: Now that your function venue is sorted, your next step is entertainment, and we have just the man for the job: Ricky Botsis. With a strong passion for swing music, this crooner broke into the professional world of entertainment in 2008 and has since then performed at countless (corporate, private, weddings, birthdays, shows, launches, conferences and restaurants) events nationwide. 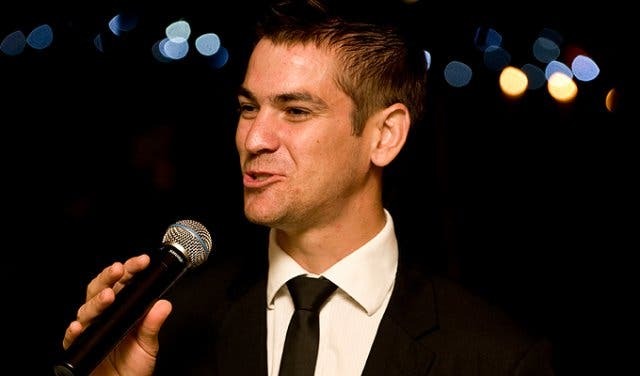 Described as the “local version of Michael Bublé” or dare we say a young Frank Sinatra (less pop, more swing), Ricky’s enchanting voice is perfect for every occasion and is a sure crowd pleaser. Although Ricky primarily prefers swing, he can belt out any genre of music (as long as it in within his range, of course). What’s more, should you want something that may not be on Ricky’s song list, just request for it in advance and provided he can get the music, a plan will be made! Interested to hear him live? Catch Ricky’s Swing Show every Tuesday night at Headquarters (HQ) Restaurant for their #DateNight special. Email Claire at rbotsis@gmail.com, or call +27 (0) 83 375 4450 for more information, quotes or availability. 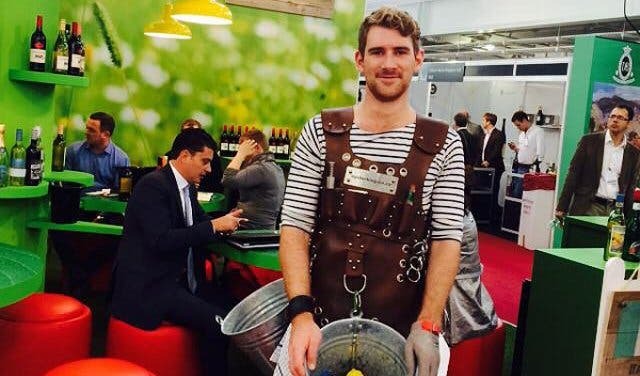 INTERACTIVE FOOD THEATRE: The Oyster King is an events company that adds a unique twist to any kind of occasion by offering an interactive food theatre experience. Choose to be entertained and treated to specialty eats by a dedicated person who dresses up in theme and goes around dishing out a culinary bite of your choice to guests at the party. 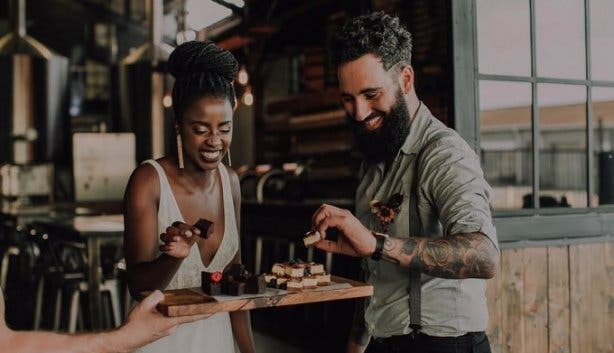 From oysters, sushi and biltong to macarons, cake pops and fortune cookies, almost any kind of delicacy can be chosen to make sure that a function is truly memorable. Do something adventurous and check out Zeestock Adventure Lodge. Have a look at our updated overview of free things to do for your birthday. Wedged like a little gem next to Orphanage, you’ll find a new eatery called Jéan-Lucs Kitchen. Unique function venue with a farm feel, group accommodation options and one-of-a-kind experiences? Have a look at Rotterdam Guest Farm in Swellendam. Discover the spank-tjing new Tjing Tjing Momiji. Discover our brilliant serviced office space in the heart of the city centre, as well as some lesser-known, yet quality co-working spaces in different suburbs of cape town. Looking for ideas specifically for 21st, 30th and 50th bashes? Consult our guide to special birthday party venues in Cape Town.